If you’ve seen sunken shipwrecks covered in rust, then you’ve already seen these bacteria at work. 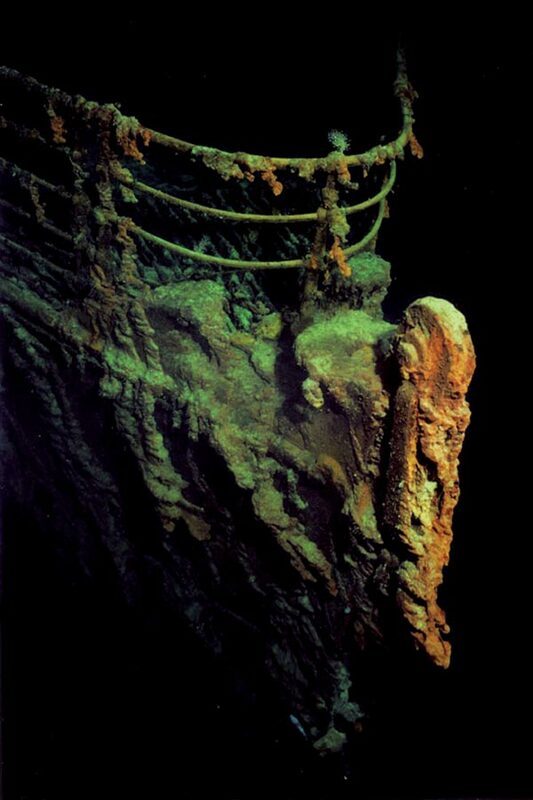 If not, we’ve included a picture of the bow of the RMS Titanic, courtesy of the National Oceanic and Atmospheric Administration. The same phenomenon that happens to iron on land is initiated by bacteria under the sea, which steal electrons from the metal in order to make rust. The passing of electrons through the bacteria also creates an electric current, but this effect goes largely unnoticed in the bacteria community. However, researchers like University of Minnesota’s Daniel Bond and Jeffrey Gralnick noticed that these types of bacteria don’t necessarily require metals like iron, only the electrons themselves. With this idea in mind, they charged an electrode with electrons using a battery. The bacteria thrived and produced a current just as it would with iron. Taking iron out of the equation is a nice first step, but removing entirely the input of electrons (notably from the electrode) would be even better. Fortunately, just as these strains steal electrons, there are other kinds of bacteria that prefer to give them away. These bacteria like to give their electrons to metals when they can, but Bond and Gralnick found that they will donate to other bacteria given no other options. This forms a self-sustaining, electricity-producing environment based simply on the flow of electrons. 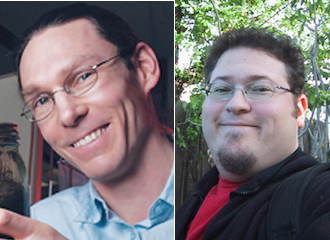 Professors Daniel Bond and Jeffrey Gralnick, courtesy of the University of Minnesota. Bond and Gralnick, who are both associate professors in microbiology, see several large-scale applications for these microbes. For instance, they could be used as a biosensor, giving off an electrical current when they come into contact with a particular substance whose electrical state they can change. Or, in a more grandiose situation, such bacteria could donate electrons to radioactive compounds like uranium, which become less toxic with a few extra electrons. The realm of possibilities for these microbes is just opening, and the University of Minnesota is at the forefront of its exploration.